A Valentine’s Day couples retreat can be a wonderful way to share in that celebration and explore what it means to truly love one another. Love is described here as a mighty flame that cannot be put it. While couples may not always feel that fiery lovey-dovey feeling, true love always smolders under the surface. Use this scripture to remind couples that it’s very important to feed and stoke the flames to keep that romantic fire burning bright. When a couple gets married they make solemn vows to one another. They begin their lives as a family unit, laying aside the old ties to their parents. Use the scripture to remind couples that their first duty is to God, but their next is to each other. They should act on a united front, looking to one another for support and building one another up. Marriage takes compromise and selflessness. Romantic love is wonderful, but it takes more than that to build a successful marriage. Genuine love is sacrificial. It requires us to sometimes put our own wishes aside in order to build up our spouse. It asks us to set aside our aggravation and frustration in favor of humility and kindness. This sweet and simple craft uses Perler beads to make a lovely romantic design. You could have one person from each couple make one part of the craft. For example, the husband could make the heart while the wife makes the key or vice versa. Sometimes we get caught up in the distractions of everyday life and forget to make time for our spouse. Creating a “rescue box” together is a great way to work as one. Afterward, each couple would take it home and place items in it that symbolize their love towards one another. All you need for this craft is an assortment of pretty paper. Allow guests to write sweet notes to one another on the paper and then follow the easy instructions for folding the papers into pretty heart shapes. They can then exchange them as unique Valentines. Be romantic and eco-friendly with this fun and functional craft idea. Supply each guest with a used (clean) tin can, some paint and a drill or metal punch tool. Let guests choose a pattern to punch into the tin. Finish them off with paint, hanging wire and flameless candles. For this game teams of couples must race from one end of the room with a balloon held between their chests. If they drop the balloon, they must go back to the beginning and start over. Make it even more challenging by having the couples run an obstacle course with the balloons between them! Have some sweet fun with this candy heart bingo game. 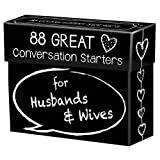 Give each guest a printable bingo card and a box of conversation hearts. Candies are drawn out one at a time and placed on the board. The first person to fill in a line (or the whole board if preferred) wins. Give each couple a copy of the free printable Scattergories sheet. Set a timer and allow each team to fill in the cards with one Valentine’s Day related word for each letter before the time runs out. Score as follows: 1 point for every word that no one else chose for that letter. The highest score wins. You may consider including a few different devotionals specifically aimed at helping married couples. These devotionals are the perfect size to include in a welcome packet or departing gift bag. Shake up the photo booth experience a bit by allowing guests to choose and cut out their own props to use. Print out multiple copies of the prop sheets and let guests choose their favorite to customize their romantic (or silly!) Valentine photos. Let your couple teams compete against each other in this collection of fast-paced physical challenges. Choose three or four activities and set a timer. The team to successfully complete the most challenges wins. Valentine’s Day is just one day of the year set aside to focus on and celebrate romantic love. However, couples can celebrate their love every day by cherishing each other and offering patience, support, and kindness to one another. A Valentine’s Day couples retreat can help married partners honor their bond and remind them of why they first fell in love. 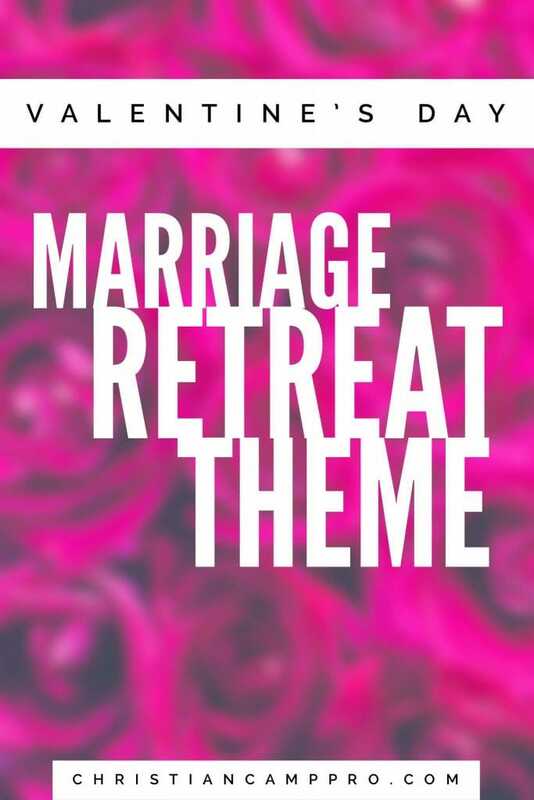 Special thanks to The Oaks Camp and Conference Center for making this Valentine’s marriage retreat theme possible.